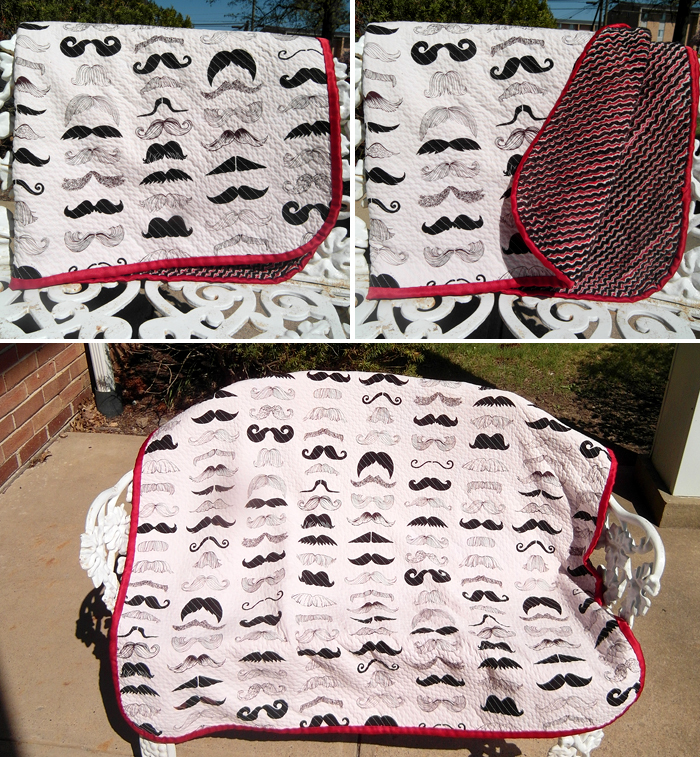 ' V: Vogue - Mustache Faux Chenille Blanket - Sisters, What! I seriously can't wait to wrap our little guy up in this. THANK YOU Jamie!!!!!!!!!! That's most unique. Very different indeed for a little baby, both in color and in design. Congrats on your soon to be family. 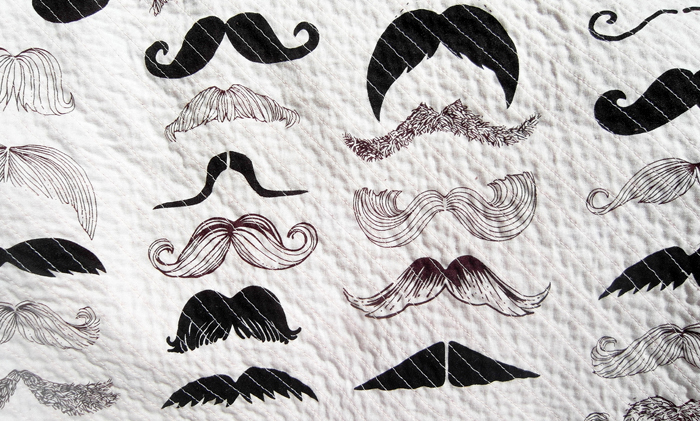 I LOVE the mustache!!!!!! My 15 year old loves everything mustache, which is all the rage now! Where did you get that fabric?? ?